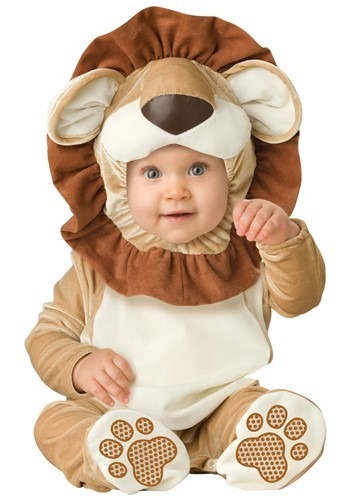 I purchased this lion costume for my 12 mos old son. It looked cute online and so I took a chance and purchased it. Halloweencostumes.com had the best price, beating the competitors by over 10.00 or more and shipping was quick. The costume is a bit on the thin side but, what do you expect for a reasonably priced costume? It looked extremely large when I got it out of the package but, surprisingly it fit well for the 12-18 mos. range. Overall, I am pleased with this purchase. Would I have liked it to be a bit better quality? Yes. But, I didn't pay that much so, I'm happy.